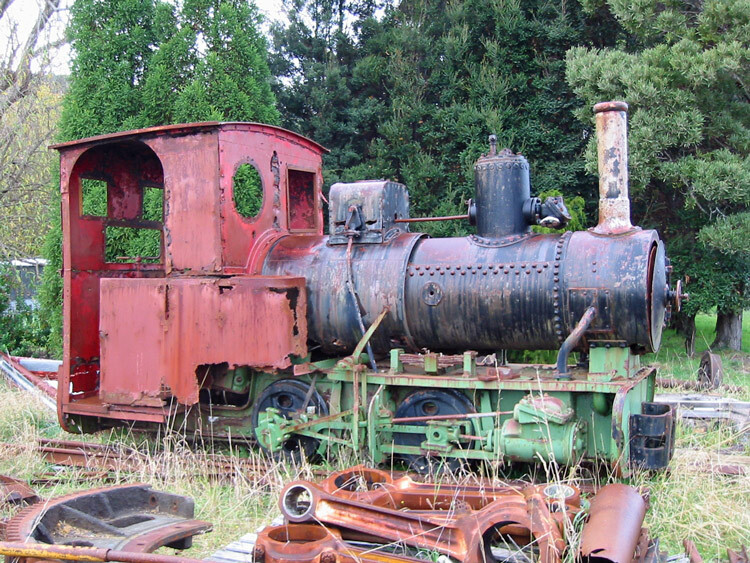 This digital image of May 2003 shows Krauss 4087 still in storage at the rear of the West Coast Pioneers Museum, Zeehan. 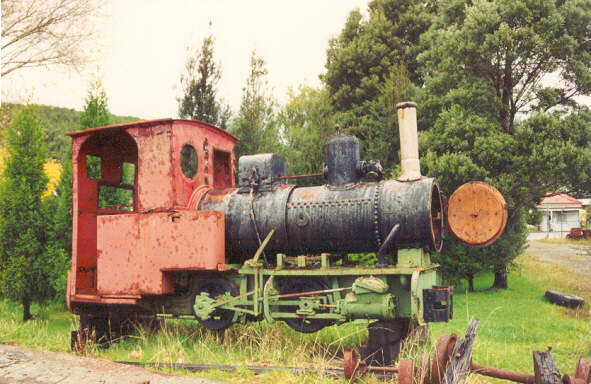 This scanned photograph of May 1993 shows Krauss 4087 stored on blocks at the rear of the West Coast Pioneers Museum, Zeehan. a 'Light Railways - Australia's Magazine of Industrial & Narrow Gauge Railways', Number 153, June 2000. Published by Light Railway Research Society of Australia Inc. Article "Krauss Locomotives in Australia" by Bruce Macdonald, page 14.
b Personal observation or comment.